North Central faculty member Richard Pruitt launches new book exploring theology through community and adds an important voice to biblical and theological hermeneutics. North Central University announced yesterday it has earned its reaccreditation from the Higher Learning Commission, effective Feb. 13, 2018, with the next Reaffirmation of Accreditation scheduled for 2027–28. Youth evangelist Jeff Grenell has joined North Central University as the Next Gen Specialist, focusing on recruiting and external partnerships for NCU. The 2017 alumni awards were presented at the 50th Annual Partners for Progress event at the Depot Hotel in Minneapolis on Sept. 30, by North Central Alumni Board president, James Biffert. It has been 500 years since Martin Luther posted his “Ninety-five Theses”—a list of statements for debate—in Wittenberg, Germany, and launched what came to be known as the Lutheran Reformation. 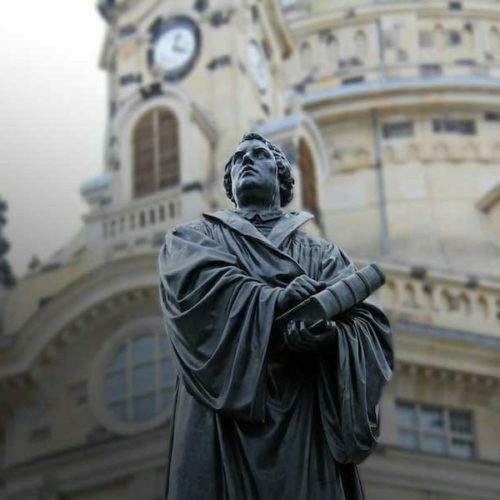 Christianity was irreversibly changed by Luther’s actions, and this fall, North Central University will be exploring the impact of 500 years of Protestantism. North Central alum Wayne Northup ’98 is widely recognized as a successful church planter, but he feels his call was to reach New Orleans.